WHEN Kirsten Kore wore a $1000 designer dress to a work event in 2015, she had no idea the expensive outfit would change her life. The savvy Sydneysider didn't pay the hefty price tag asked in store. She cleverly rented it from a woman she'd been connected to through Facebook. Despite it being a "pleasant experience" Kirsten told news.com.au she'd been nervous about the online transaction. "I literally messaged her my credit card details over Facebook, it could have been a total disaster," she said. 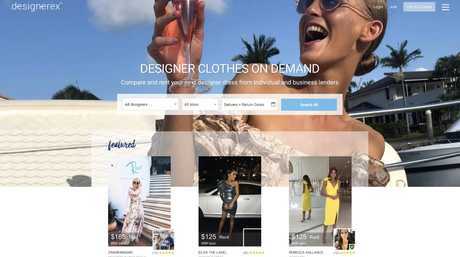 However the whole exchange sparked an idea that saw her and her partner Costa Koulis, 42, become multi-millionaires, creating a platform for women to rent and list expensive dresses - now dubbed the "Airbnb for dresses". Kirsten Kore came up with the idea for a platform to connect expensive clothing owners with people who wanted to wear them and is now raking it in. "When I came across a problem, I started looking at the idea to create a couture platform where you are able to track the whole process; from payment to returns," Kirsten explained. The super simple idea - born out of her own clothing dilemma - has now become a hugely popular service, seeing a surge following from the success of Marie Kondo's Netflix show, Tidying Up. But the couple made their first million with Designerex long before people like Kondo and Meghan Markle - who is a huge advocate for sustainable fashion - made it trendy. And it's thanks to their savvy business plan that differentiates them from other dress rental companies, like GlamCorner, which sees them have a huge costs to buy and own the gowns being leased out. She said: "When we launched, we already had hundreds of dresses ready to be rented. "We'd sourced renters through platforms like Instagram and Facebook, promoting the platform where they could earn money on their expensive garments. "Once we had people listing their items, customers came organically but we did budget for marketing on social media channels." The digital rental store has over 12,000 dresses listed from brands such as Zimmerman and Bec and Bridge. In the first year the pair raked in 500,000 and did the same the following year. 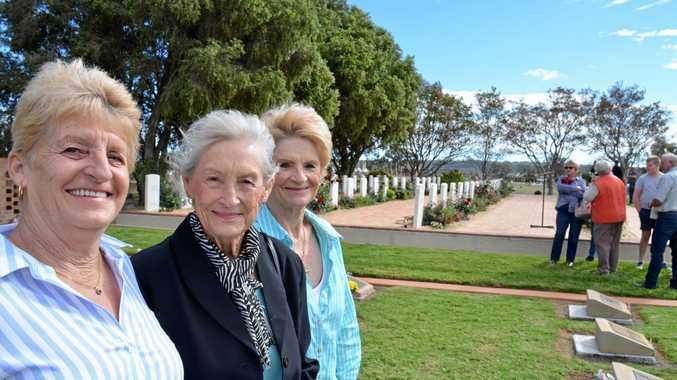 Now in their third year, they've been experiencing a huge surge to the site, growing at a rate of 150 per cent, Kirsten said. "We have over 12,000 dresses listed on the site and every month $250,000 worth of luxury clothing is listed." "There's been a real shift in fashion with women wanting a return when investing in expensive pieces." The site offers a wide variety of brands, but champion Aussie labels such as Scanlan and Theodore, Zimmerman and Bec and Bridge. While Designerex is the largest clothing sharing platform in the world, it's not the only rental business seeing a spike thanks to Kondo. The 29-year-old co-owns the multimillion-dollar business with her partner Costa Koulis. Australian owned GlamCorner agrees, with co-founder and CEO Dean Jones telling news.com.au there's been a "lot of movement" recently around sustainable and affordable fashion. "People are starting to realise that renting their everyday wear is a much more sustainable and affordable option instead of buying," Mr Jones said. "Marie Kondo has become a household name for all de-cluttering and reorganising woes which has also given positive push to renting business as people realise today's trends can be of no use for tomorrow and fast fashion is really affecting the environment in some or the other way. "Businesses like GlamCorner are giving the consumers an option to change up their style and looks, experiment with fashion, all while not adding clutter to their wardrobe and lives." GlamCorner has also just introduced a subscription based service, where customers pay a set fee and can use the service a number of times every month. Kirsten added the Marie Kondo affect has made consumers "hyper aware" about their purchases and predicts "investment pieces" are going to continue to soar in popularity.